The worlds top cut could have good commentary, I’m sure some of the players who don’t make the cut would be happy to contribute. Though in my brief moment at BABW as commentator, I realised that it is hard. Very hard. I don’t know that I can claim to be the best commentator or anything but I find it comes pretty easy. Is there a list of registrants? 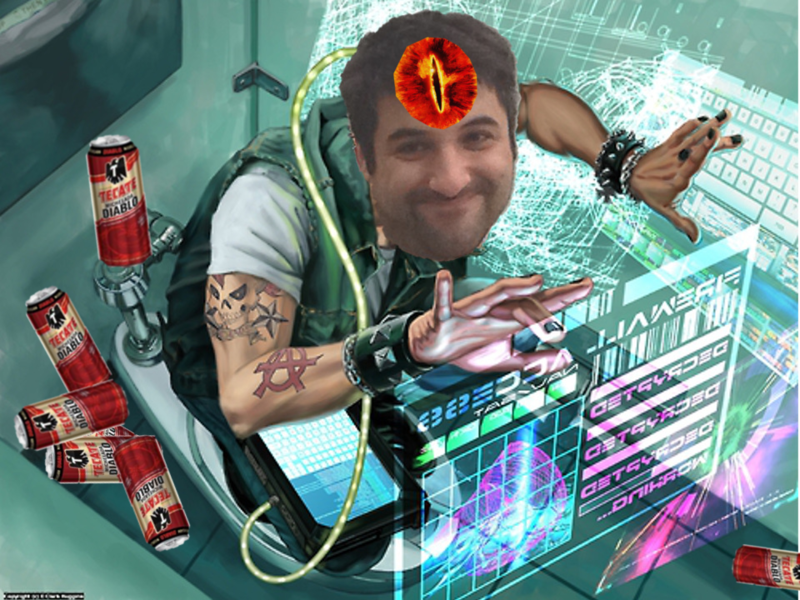 I found myself talking about netrunner more than actually talking about what was going on in the game. I guess cos you stream a lot it might be more natural. I was commentating on @xenasis and @vinegarymink’s game and they play very fast. I love commentating so if I’m knocked out pretty early I’d be very happy to get involved. That was tough for sure. We’ve played so much that we shortcut a lot so we play even faster together than we would individually. We probably also shortcutted in such a way that it might not have been entirely clear what was going on. We’re pretty set on judges/commentators for this event. Thanks everyone for offering to help out. If we ever need commentary or judges for an event, we’ll let you know. One thing that we’re always looking for help with is graphic design. Making the stream look pretty to make up for OCTGN being ugly is of utmost importance to us, and we need help for that sort of thing and making flyers, etc. We also are looking for someone to help us produce and edit a video for our upcoming Patreon. Promote the stream of the event to your local community and friends so we get as many viewers as possible. Looks like 45 right now. Almost, should be George Feeny. Parents missed a golden opportunity. I’m looking forward to this, but I hope it’ll be available for viewing post-stream as well, since my schedule and my house internet is not usually conductive to watching streams live. To everyone who’s putting in the effort to play, commentate, and make the whole event possible, thanks for your time and effort. I agree, they really could have pleased the boy meets world crowd more with that kid. Oh it starts at 2am. Looks like I won’t be playing. Good luck to those who do and I’ll try to tune in to the commentary on Twitch! In the case where each player has played each side the same amount of times, an OCTGN coin flip will determine who chooses side. Is there a reason why this rule is different from FFG’s tournament rules? If both players have the same differential, then who plays as the Corporation and the Runner is determined using a random method (such as a die roll or coin flip). I’m guessing you’re 2 extra turn timeout rules because it’s difficult to communicate the end of round, correct? Can you clarify the “sudden death” rules? Does that mean if there is a tie, that play continues until either player scores an agenda point (or the games ends by flatline/mill)? I think it means that any players who can’t finish their games on time and don’t even have the decency to have different point totals get taken out behind the chemical sheds. Yes. Because I like it that was better. The fact is, choosing a side is not a zero-sum game because what you play affects what you are likely to play in later rounds. There are cases where both players can reasonably want to play on opposite sides, and in those cases, it’s nice not to force them to play on the other side, imo. Yes. I know it’s not ideal, but because the seed numbers are random and the entire tournament is double-elim, the alternative is essentially a coin flip. Obviously, draws can’t be allowed. Is there a chance that people from the same meta (ex. me & Matuszczak) won’t be paired in the first round? I guess now that I said it, there’s 100% chance that we’ll play the first match. Chance is now greater you will. Don’t draw the Eye of D’Argenon onto you.